One > is a direct daughter, two >> is a grandaughter, three >>> is a great grandaughter, etc. 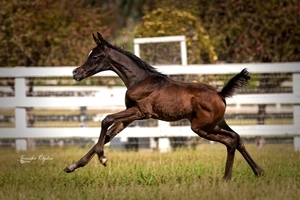 Click on Mares with underlined names for more information including galleries, etc. Silver Maple Farm Mares are represented by seven females are the foundation of the SMF breeding program. Of course, these mares, going forward through their sons and daughters will establish other branches of these families. 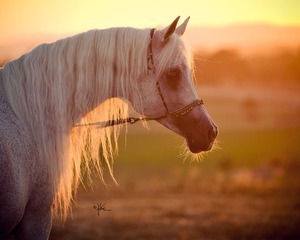 The SMF mares are of two family originations; one is through the mare El Dahma, of the Dahmah Shahwaniah Family and the other is the mare Venus, of the Hadbah Enzahiya Family. * See links below to the articles. When the Straight Egyptian studbooks have established the mares, El Dahma and Venus, as two of the original, or root mares included. So, our SMF mare families all trace back to these two mares but through different branches of the families. The recording of the sires and dams began in Egypt during the time Of Abbas Pasha (1886 approximately), and it also includes horses from the Inshass Stud that later became the Royal Agricultural Society that segued into the Egyptian Agricultural Organization. It is known as the EAO still and resides in the middle of Cairo which built up all around this farm. It is also called El Zahraa. Other private breeders in Egypt were instrumental in breeding these particular horses forward such as Aly Tewfik, Sheikh Obeyd Stud (Lady Anne Blunt) and Al Baidea Stud to name only a few. If all those dedicated individuals had not recognized how special these particular horses are, they would not exist today. It was Judith and Don Forbis along with Douglas and Margaret Marshall, both involved with oil businesses that took them to Egypt, for this story of the straight Egyptian Arabian horse to be created. The journey continues onward and with more chapters to be written. In the 1960's the Forbises and Marshalls made the decision to create a "Breed within a Breed", called the Straight Egyptian Arabian horse. They organized and created a members organization in the United States named The Pyramid Society in 1969 along with several other dedicated and passionate individuals. 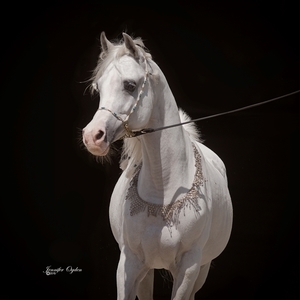 The goal was to educate and perpetuate the breeding of these horses with the goal for these bloodlines to become "the" source of refinement within the Arabian breed. The Pyramid Society is a 400 plus members organization of owners and breeders. Today, 45 years later, they are still dedicated to perpetuating and promoting these particular bloodlines, providing a genetic pool recognized on a worldwide basis for being "THE" source of refinement.